When Minnesota Vikings punter Chris Kluwe wrote his famous "lustful cockmonster" letter to a Maryland state delegate back in September, he wasn't just defending gay marriage: Kluwe was also sticking up for Brendon Ayanbadejo. 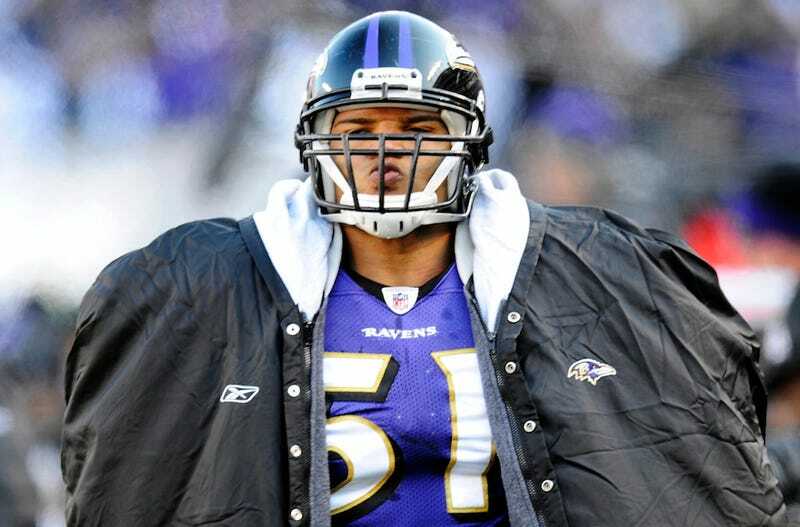 Ayanbadejo, a Ravens linebacker and special teamer, was a supporter of Maryland's ballot initiative to legalize gay marriage, but his outspokenness on the issue had prompted the state delegate, Emmett C. Burns Jr., to write a letter to Ravens owner Steve Bisciotti. Burns wrote: "Many of my constituents and your football supporters are appalled and aghast that a member of the Ravens Football Team would step into this controversial divide and try to sway public opinion one way or the other. ... I am requesting that you take the necessary action, as a National Football Franchise Owner, to inhibit such expressions from your employee and that he be ordered to cease and desist such injurious actions." Kluwe's letter was as much an attack on Burns's position as it was a defense of a fellow football player's right to speak his mind. Quietly, this was a landmark moment for athletes, too. Five years ago, it would've been unimaginable for NFL players to rally around any political cause, let alone that of gay rights. (And they did rally: Scott Fujita came out for marriage equality, as did former NFL players Michael Strahan, Michael Irvin, and Nic Harris. In August, the San Francisco 49ers became the first NFL team to sign on to the It Gets Better campaign.) Five years ago, Roger Goodell never would've done what he did this time around, which was nothing at all. You hardly ever see that in sports. You hardly ever see players go charging into a breach, any breach, league PR be damned. Goodell may have won the lockout, but everything that's happened since then—this, the pushback on the Bountygate suspensions—has been about players reclaiming their margin through other means.